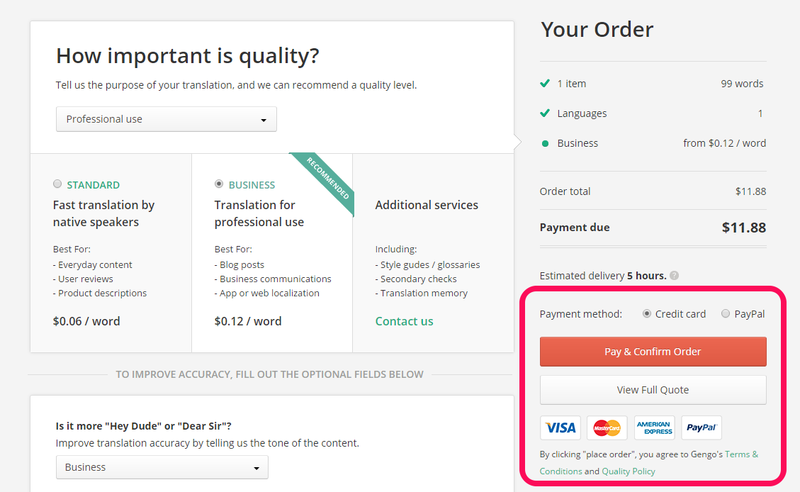 We offer two methods of paying by credit card: direct (default) or via PayPal. If you use the "Credit card" payment option, a charge is submitted to your bank, whose automated systems determine whether or not to accept the charge. These systems take various signals into account, such as your spending habits or account balance, which are constantly changing. This means that even if all of the card information is correct, the charge can still be declined by your bank's fraud detection systems. We try to show as much information as we receive from your bank about a decline, however this is not possible in all cases. If all of the card information seems correct and it's still being declined, it is best to contact your bank to get more information, and ask for future charges to be accepted. If you choose to pay via PayPal, and select the second option (Pay with a debit or credit card), sometimes the payment will be declined by PayPal even though you have a valid credit card. 1) First, make sure the credit card you wish to use is set as the default payment method in your PayPal account. When you're ready to make your purchase, use the Pay with my PayPal Account option. 2) Alternatively, instead of choosing the PayPal payment method, you can choose to pay directly with your credit card at the last step of the ordering process.